Two Ukrainian soldiers were killed and another one was wounded in the Donbas conflict zone in the last 24 hours, presidential administration spokesman for the Anti-Terrorist Operation Colonel Andriy Lysenko said at a briefing in Kyiv on Saturday, according to an UNIAN correspondent. "In the last day, we lost two Ukrainian soldiers, and another one was wounded as a result of military clashes," he said. 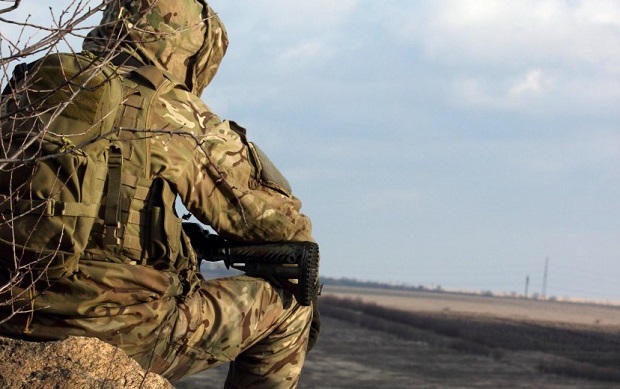 According to Lysenko, one soldier was killed in a mortar attack near the town of Avdiyivka, while another two came under militant fire from infantry fighting vehicles near the village of Novhorodske. As UNIAN reported earlier, the combined Russian-separatist forces attacked Ukrainian army positions in eastern Ukraine 75 times in the past 24 hours, including 59 times in the Donetsk sector, 15 times in the Mariupol sector and once in the Luhansk sector.